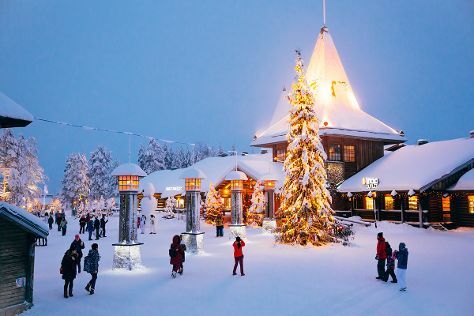 On the 2nd (Sun), take an in-depth tour of Arktikum, then Head underground at Syvasenvaara Fell, and then get in on the family fun at Santa Claus Village. To see more things to do, where to stay, and more tourist information, refer to the Rovaniemi trip itinerary builder . Chennai, India to Rovaniemi is an approximately 19-hour flight. You can also do a combination of flight and train. The time zone changes from India Standard Time to Eastern European Time, which is usually a -3 hour difference. Expect much colder temperatures when traveling from Chennai in June; daily highs in Rovaniemi reach 18°C and lows reach 9°C. Finish your sightseeing early on the 2nd (Sun) so you can travel to Vaasa. Start off your visit on the 3rd (Mon): step off the mainland to explore Kvarken Archipelago World Heritage Site. To see other places to visit, maps, photos, and other tourist information, you can read our Vaasa trip planner. Traveling by flight from Rovaniemi to Vaasa takes 5.5 hours. Alternatively, you can drive; or take a train. 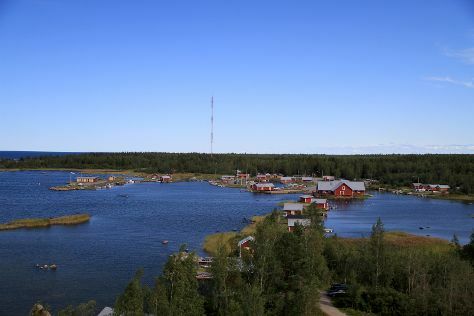 In June, daytime highs in Vaasa are 19°C, while nighttime lows are 9°C. Wrap up your sightseeing on the 3rd (Mon) to allow time to travel to Helsinki. Pack the 6th (Thu) with family-friendly diversions at Linnanmaki Amusement Park. There's much more to do: explore the historical opulence of Sea Fortress Suomenlinna, take an in-depth tour of Seurasaari Island and Open-Air Museum, don't miss a visit to Market Square Kauppatori, and pause for some serene contemplation at Helsinki Cathedral. To find traveler tips, reviews, where to stay, and other tourist information, read Helsinki trip itinerary planner . Traveling by flight from Vaasa to Helsinki takes 3.5 hours. Alternatively, you can take a train; or drive. In June, daily temperatures in Helsinki can reach 21°C, while at night they dip to 11°C. On the 7th (Fri), wrap the sightseeing up by early afternoon so you can travel back home.